There's a revolution happening in our supermarkets. With every aisle comes the introduction of a new product that seems to have a hint of 'America' about it. As a US expat, this thrills me to bits! I mean, it's easy enough to get hold of real American products nowadays but the price tag is usually high and I normally reserve my orders for special occasions. I often buy the sugar syrups but they make my drink really sweet and it's not the sweetness I want, it's the flavour. I've also recently treated myself to my favourite coffee creamers from the US which are perfect as the flavour isn't accompanied by mounds of sugar. They are well worth their £5.99 price tag! 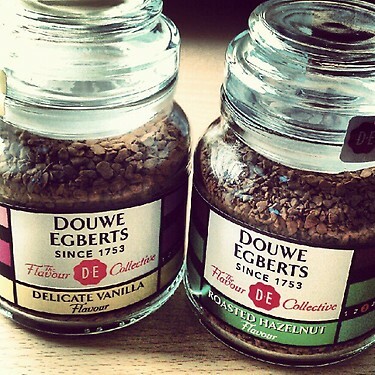 My husband is a big fan of Douwe Egberts coffee and these were on special offer for only £1.49. They are small pots with only 50g of coffee in them but I don't drink a huge amount of instant coffee so these would last me for a few weeks. I was eager to try them and resisted adding sugar at first (I did add a smidge of sugar on my 2nd cup) and I have to say the flavour is very delicate, not overwhelming at all. 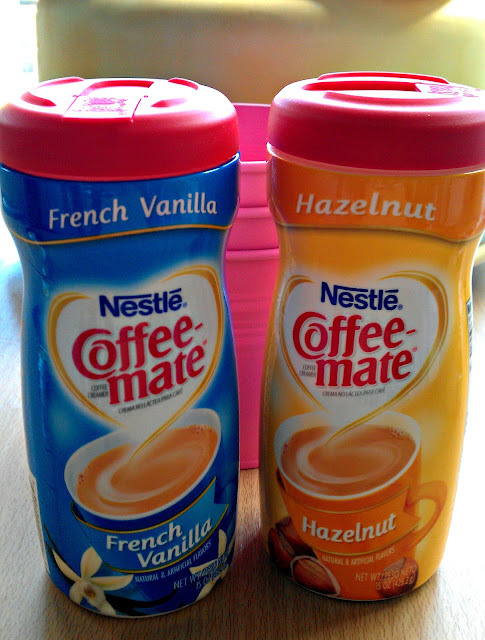 I found the coffee to be nice and smooth and I preferred the hazelnut flavour to the vanilla but I suspect my preference to a milky coffee might have overpowered the flavour a little bit. I'm not sure I'd pay the full price tag of £2.99 for such a small pot but and I'm holding out hope that they introduce a flavoured ground coffee which is always my preference as the flavours tend to be stronger. Oh, and I'm loving the little jars they come in - now that's a proper coffee jar! Note: This is NOT a sponsored post and I purchased and paid for all items included in this review.